Part used: Tops and leaves of the plant or tree is used to make this organic compound. 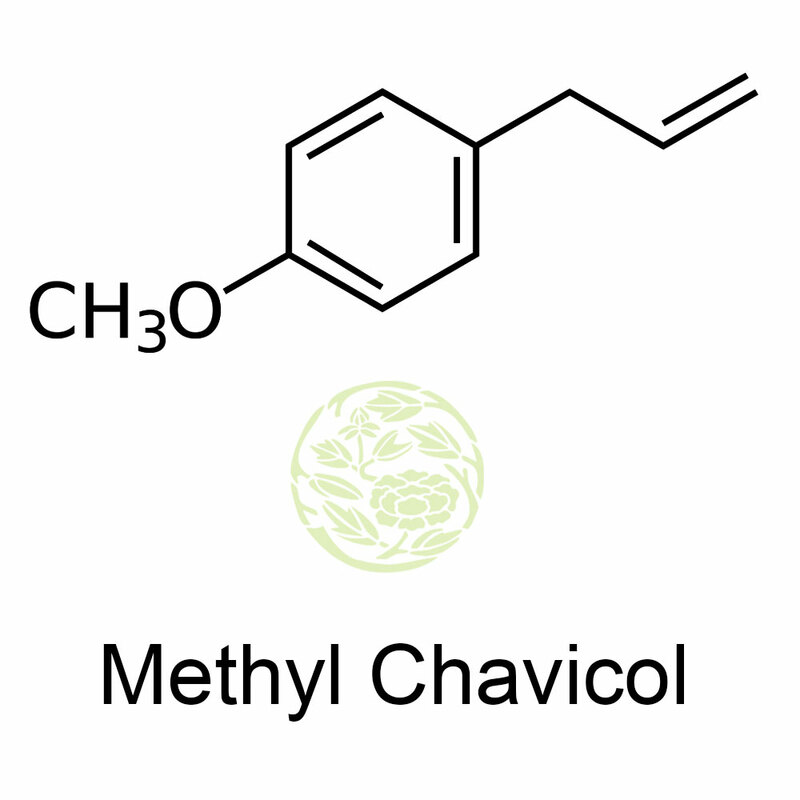 Trees and plants from which methyl chavicol is extracted is bay, basil, turpentine, anise, tarragon and fennel. Blends well with: It blends well with Frankincense, lavender, bergamot, lime and many other herbal oils. 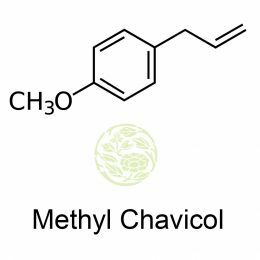 Physical Properties: Methyl chavicol is a colourless liquid which turns pale yellow when it is impure. Its odor is powerful, aromatic, anise and camphoraceous. It dissolves well in fixed oils and alcohol. The quality of odor is very good. It is a natural organic compound. The chemical structure has a propenyl group and methoxy group and has a benzene ring. chavicol extracted by steam distillation process. Countries where it is found: Ocimum basilicum also known as common basil is native to Egypt. It is also found and distilled in France, Bulgaria, Italy, Hungary, South Africa and in some places in the US.